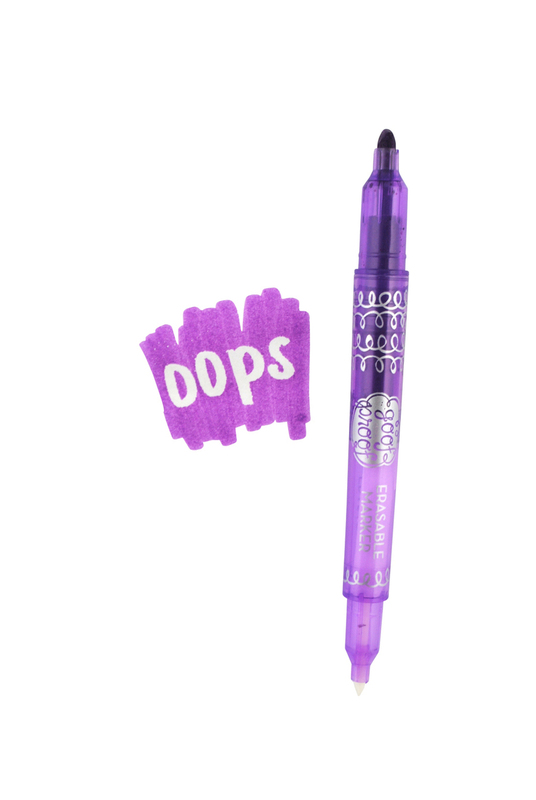 The wonders of a two-sided marker; one side to draw with and the other side to erase with. 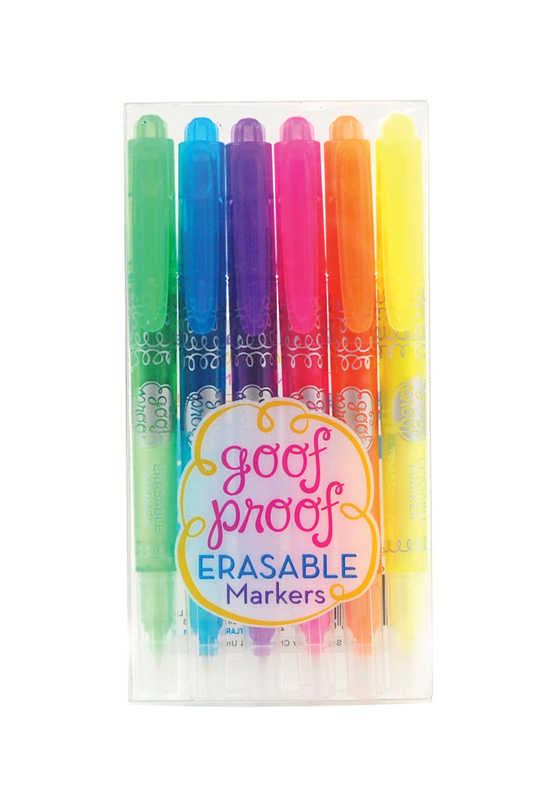 Goof Proof Erasable Markers will make sure you never goof up your artwork. 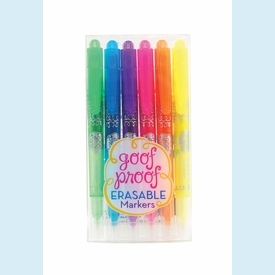 But an eraser needn�t be for only correcting mistakes. You can make all sort of cool designs combining your marker with the eraser. Comes in six neon colors.